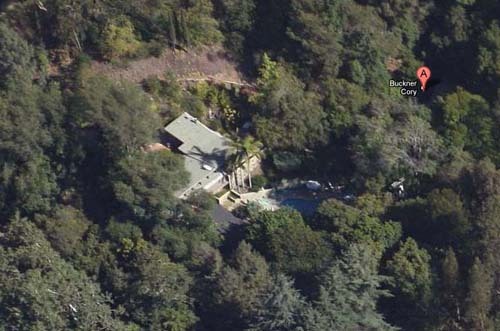 Crestwood Hills is a neighborhood within Brentwood, Los Angeles, California, located on the ridges to the north and east of Kenter Canyon in the Santa Monica Mountains. 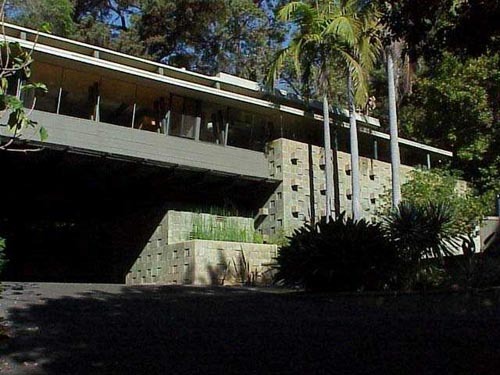 It is best known for its mid-century modern architecture, and contains several homes designated as architectural landmarks by the State of California. The homes were designed by A. Quincy Jones, and are featured in numerous magazines, articles, and books about mid-century modern housing. 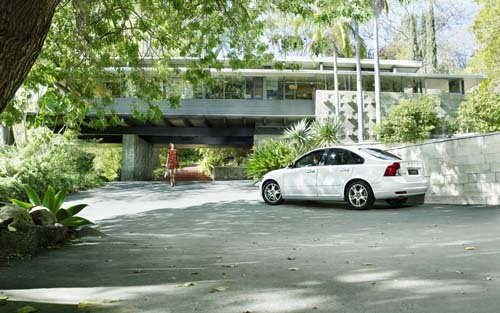 The community includes a park, pre-school, and homeowners’ association. Crestwood Hills began as a utopian experiment in the late 1940s by a few musicians, and eventually turned into a cooperative association that included 400 members. The project was initially called the Mutual Housing Tract, before changing to Crestwood Hills. It was intended as a multi-ethnic project, but pressure on the landowner from existing Brentwood residents – this was still the era of racially and religiously restrictive housing covenants – eventually led to some members of the original group to being dropped as a condition of finalizing the sale. 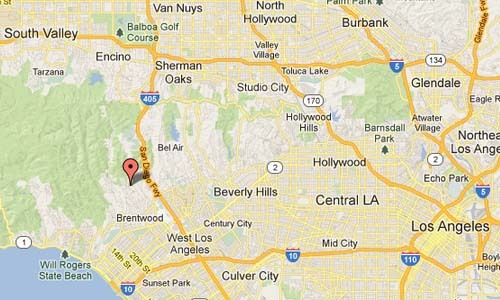 The 1961 Brentwood-Bel-Air fire lead to the destruction of 49 homes. 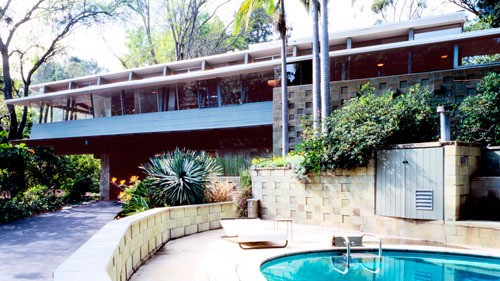 Brenda Rees of the Los Angeles Times said “decades of construction and reconstruction erased much of the original modern design.” By 2000 Crestwood Hills was a wealthy neighborhood. The MHA design committee interviewed a number of architects, including Richard Neutra. 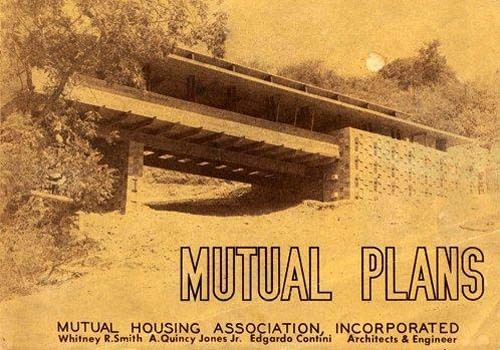 The final design team was a joint venture between architects A. Quincy Jones and Whitney R. Smith, and structural engineer Edgardo Contini.The master plan uses the rugged terrain to provide a balance of single-family homes, communal facilities, and a public park. The houses are arranged on the hills at varying levels and angles to take advantage of the spectacular views, provide ample space for landscaping, and afford a sense of privacy from one house to another. The experimental forms of the MHA houses set a standard for excellence in postwar tract-home development. They are finished with unadorned materials that were readily available after the war: concrete block, exposed Douglas fir plywood, plate glass, redwood siding, and tongue and groove ceiling planks. The houses range from just under 1000 square feet to 1500 square feet, geared to the moderate income family. With thoughtful planning and the use of level changes, the original structures housed a post-war family quite comfortably. Large areas of glass in the walls and sliding doors dissolve the boundary between house and garden. The exposed structural system creates a rhythmic pattern and low-pitched roofs emphasize the horizontality of the structures, securing them comfortably on the gently rolling hills of Crestwood Hills. Of the 350 residential lots, by 1952 only 160 were built out in accordance with the MHA designs. Two contractors underestimated the complexity of the house plans and went bankrupt, leaving the remainder of the lot owners on their own to hire their own architects and builders. Then, as today, all houses were subject to strict architectural guidelines established by the joint venture, overseen by an Architecture Committee, originally consisting of Jones, Smith, and a layman from the community. The guidelines addressed all building elements such as height of structure, colors, materials, overall design intent, and planting heights; all of which contributed to a cohesive neighborhood. Today, only thirty one of the original MHA houses remain intact. The City of Los Angeles has declared sixteen Historic/ Cultural Monuments and three more will be submitted for monument status by the end of the year. The existing park, nursery school, and community center, positioned in the best flat land at the center of the tract, were just some of the elements originally proposed by the MHA. The plan also called for a neighborhood store, medical office, amphitheatre, beauty parlor, plant nursery, and gas station. After the members moved into their houses, the impetus to develop the other communal facilities dwindled. The homeowners had their hands full with landscaping and furnishing their homes while tending to their new families. MHA deeded the park to the City of Los Angeles for maintenance in 1961 but the nursery school is still functioning with parent participation. Events at the park still maintain a spirit of community among unique individuals who appreciate the modern architecture of Crestwood Hills and the progressive thinking that created it. In the 1980’s and 1990’s the community declined as the original residents aged and modern architecture fell out of favor. Since 2000, however, a new generation of young families, with an appreciation for modern architecture, has rekindled the original spirit of Crestwood Hills. The pictured house above was the first house and served as site office for the architects. 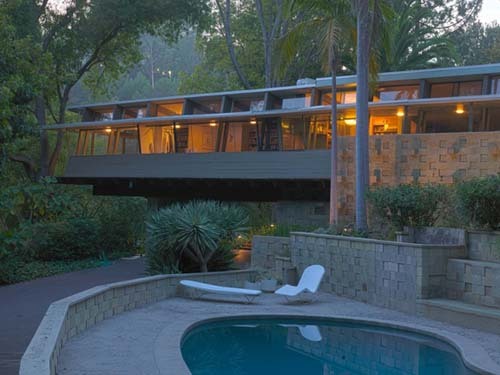 Now owned by Cory Buckner, a practicing architect in the Los Angeles area. In 1994, she and her husband, architect Nick Roberts, purchased a home in Crestwood Hills designed in 1949 by architects A. Quincy Jones, Whitney R. Smith and structural engineer Edgardo Contini. After restoring the house, she spearheaded a preservation movement in the neighborhood, which had at one time 150 houses by Jones, Smith, and Contini as part of a housing cooperative called Mutual Housing Association. Through her efforts 15 of the remaining 30 houses have been designated Historic/Cultural Monuments with the City of Los Angeles.